Looking to prolong your new vehicle warranty coverage or protect your pre-owned investment? You’re in the right place. 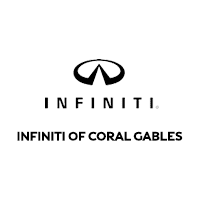 INFINITI of Coral Gables offers the Extended Protection Plan. That means you can enjoy coverage for almost everything beyond routine maintenance and repairs for up to 8 years or 120,000 miles from the original delivery date of your INFINITI. When you’re shopping for new INFINITI cars or used cars for sale at INFINITI of Coral Gables, the Extended Protection Plan has your back. It includes an extension of the standard 4-year Roadside Assistance coverage with towing assistance in the event that your INFINITI gets a flat tire or you get locked out of the vehicle. The plan also covers alternative transportation with reimbursement for car rental coverage of $50 a day for up to five days. Please contact us if you have further questions about the Extended Protection Plan at INFINITI. Visit our dealership on South Le Jeune Rd. in Miami, Florida, today.